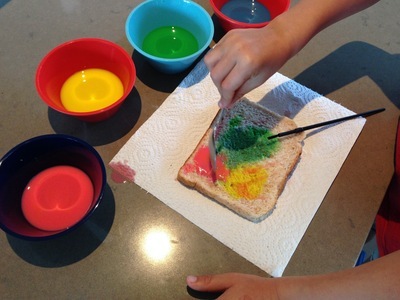 Make breakfast or snack time fun by painting your own toast! You can paint any picture you wish! 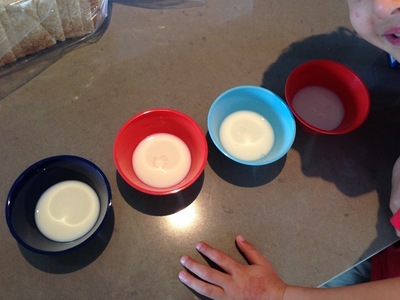 Pour approximately 1/4 cup of milk into a small bowl. Repeat for as many colours as you wish to make. 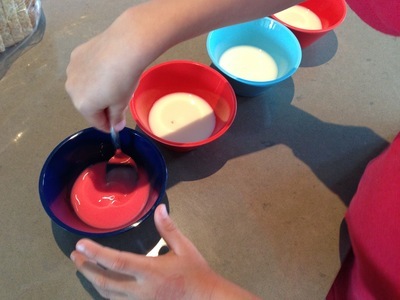 Pour a few drops of desired food colouring into the milk and stir. 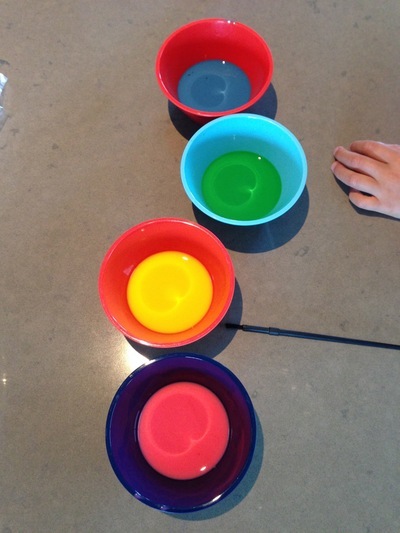 Mix two colours and see what colour they make. 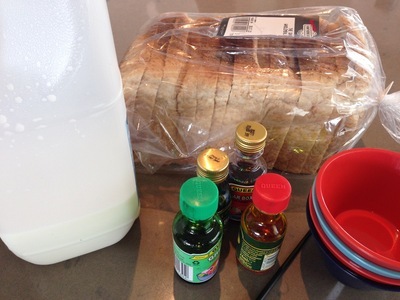 Place a piece of bread on a plate or paper towel. 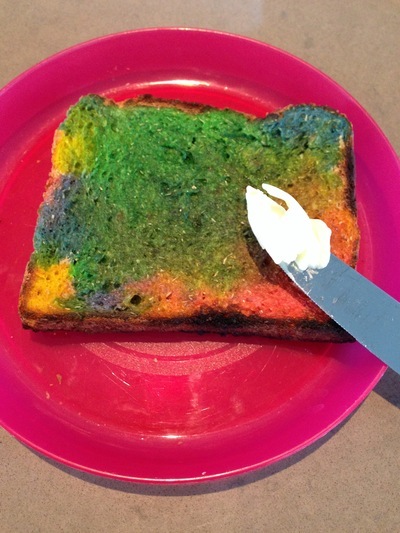 Using a clean paint brush, dip into the colour mixture and paint onto the piece of bread. 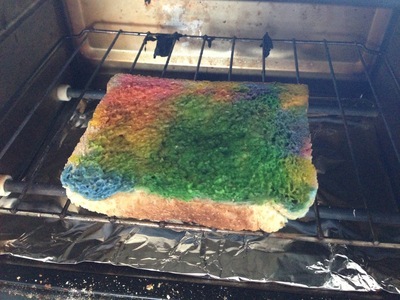 We used a spoon instead, as we only had a small paint brush and my son was impatient! 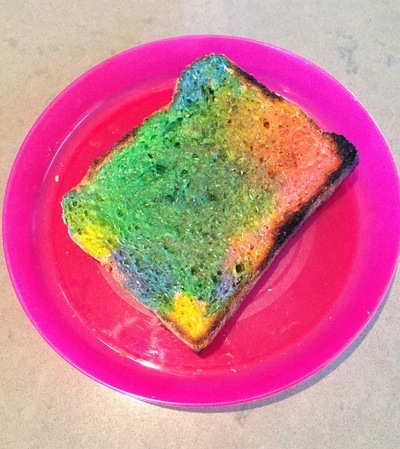 Toast the bread, add your favourite spread, and enjoy your colourful creation!